Nourish skin and get a flawless complexion with Colorescience natural mineral foundation. Our hydrating, water-resistant formulas are designed to protect your skin while giving your skin a silky glow. Why is mineral foundation better than regular makeup? Conventional makeup contains chemicals, oils, and other additives that can irritate skin and cause acne breakouts. 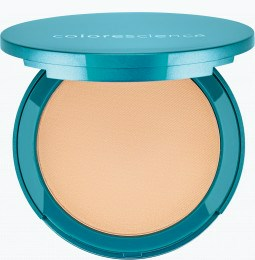 Colorescience’s premier cosmetics are non-comedogenic, so they don’t clog pores or worsen breakouts. The compounds we use in our mineral foundations are always free of dyes and fragrance to give you a smooth finish without the irritation. What different types of foundations does Colorescience offer? We offer several safe mineral makeup foundations. Fill large pores, wrinkles and fine lines with our liquid makeup foundation. If typical matte foundation appears cakey on your dry skin, try our Sheer Crème Foundation to achieve a luxurious, seamless coverage. Colorescience offer complimentary returns, meaning you can shop for foundation with confidence. Is foundation safe for all skin types? 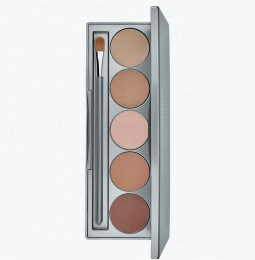 Natural foundation mineral makeup made by Colorescience is safe for all skin types. Our cosmetics are non-comedogenic, so they won’t clog pores or make your acne worse. We design products to complement a variety of skin types, whether you have dry, oily, or sensitive skin. 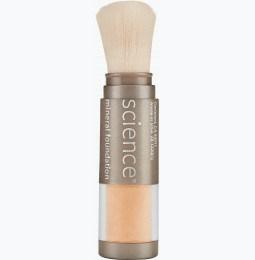 Colorescience dry skin mineral foundation will help hide flakes, reduce redness, and retain moisture. 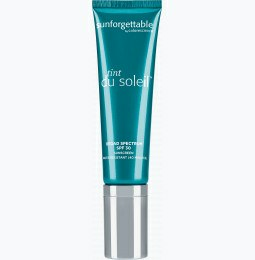 If you have discoloration, try the nutrient-infused Tint du Soleil Whipped Foundation to nourish and even-out your complexion. Colorescience oil control mineral foundation helps cut down on shine for oily skin while giving your skin a natural glow. Choose Colorescience Pressed Mineral Foundation Compact for breathable, lightweight coverage that’s enriched with vitamins for radiant skin from the inside out.